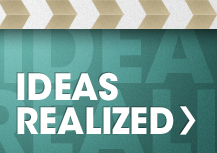 Devising a video strategy to market your service/product is a no-brainer. Video is all the rage these days and no wonder; it’s a convenient, easy, and effective way of communicating your company’s values and core message. But chances are you probably don’t have a top-notch in-house video expert to help you create the right video, or you don’t have spare time on your hands to go through the hassle of learning how to use video editing software. The good news is there’s a variety of resources and experts available to help you make a stellar sales video. You just need to make sure your video is brilliant enough to drive sales. This post will help you do just that. One would think that the only point of a sales video is to sell what you’re offering but that’s not so. Imagine a persistent salesperson at a supermarket trying to get you to buy a product you’re not interested in. You don’t want to be the digital version of that. Your videos should avoid being too sales-y or gimmicky. A soft sell approach is what you should aim for. All serious talk and no play make your sales video a dull one. Think about it, after a grueling day at work, what would you rather watch, a fun comedy or a documentary about auto parts? We’ll take a guess and say you’d rather watch something fun. That’s what your customers want too. While it’s okay to keep things professional in coherence with your brand image, it doesn’t hurt to change things around once in a while. If your sales video is making viewers laugh or smile, they’re more likely to share it. The purpose of putting a sales video out there is to 1) sell your product, and 2) establish yourself as an authority. The more trustworthy and authentic your information and your video are, the more the audience is going to be engaged. Make your brand voice crystal clear and relatable. The best way to get your viewer hooked right off the bat and to keep them engaged throughout the duration of the video is by asking relevant questions and providing solutions to them. Make the video all about the customer, what their problems are and how your services or products can be a good solution. Let them know you have their best interests at heart. Your sales video shouldn’t be all about selling your product or service. Make sure it’s informational enough to be useful even for non-buyers. Be genuinely helpful and provide valuable information that helps them fix their problem. 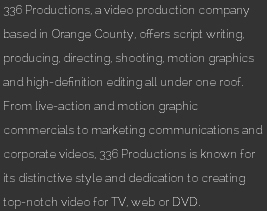 336 Productions is a full-service video production company in Orange County and we can help you create professional marketing videos. 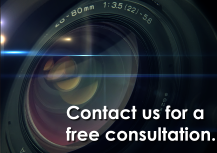 Making company videos is essential in 2019, and you need a local video service provider to help produce your brand videos. 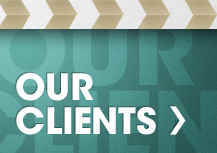 With our help, quality and perfection is guaranteed!